I have decided that I really need to make more time to read again. My kids are getting older and with that comes more activities that I am required to drive them around to plus all the other stuff I do. I have definitely been neglecting my reading and so I hope having some challenges helps me get back into it again! My other goal is to get my TBR pile down! If someone tells me I can't or shouldn't read a book, you can pretty much bet that I will read it. 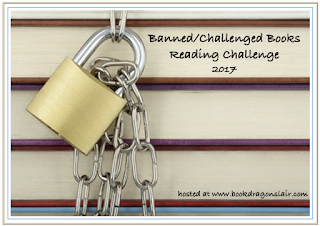 I homeschool my kids so I also have them read many "banned" books for their literature. I am going to read between 2-6 books. I am are Creeping. You're burning with a low flame and spreading slowly. These are all my challenges for 2017. Wish me luck! Good luck on all your challenges! I'm glad to have you participating in MIA and look forward to your reviews. 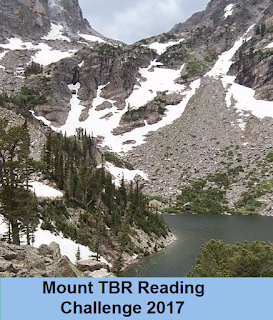 So glad you're joining Mount TBR in 2017!